BAMs are available with magnet sizes starting at 90 inches (228.6cm) square and can be used on suspension heights up to 48 inches. 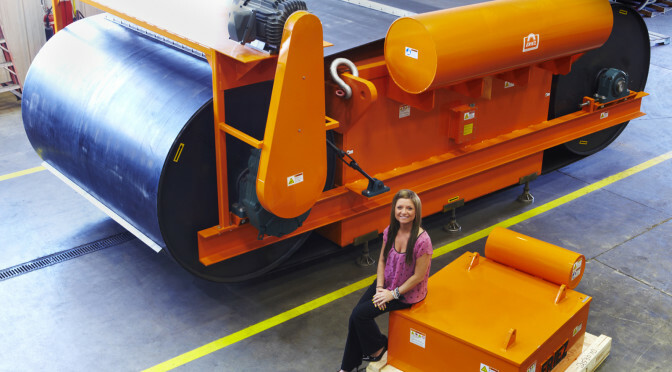 BAMs are made chiefly for processing operations using wide, high tonnage conveyor belts with deep burden depths. 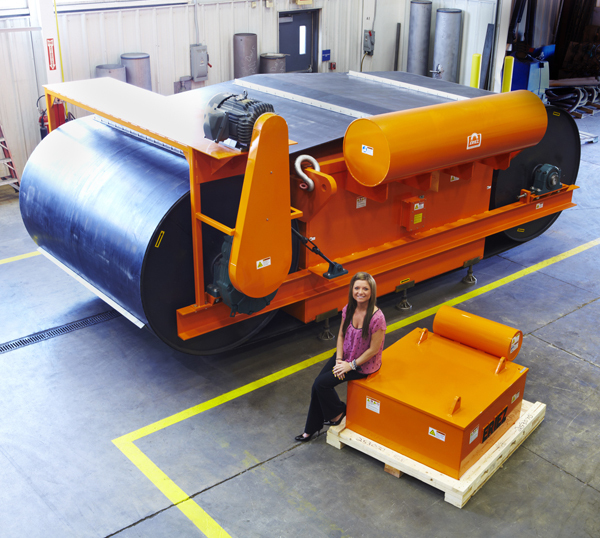 These larger magnets remove oversized pieces of tramp metal that represent a hazard to downstream crushers, mills, pulverizers and grinders. BAMs also remove sharp metal that can damage or tear conveyor belts, especially at transfer points. BAMs are offered with a five-year warranty on the coil assembly, similar to other models in the Eriez SE 7000 line. The larger SE magnets feature Eriez’ exclusive external oil expansion tank, which assures that the coils are always fully immersed in cooling oil for better performance and longer life. The BAMs are available in Self Clean (SC) style, which uses a short-belt conveyor built around the magnet to effect automatic removal of tramp iron from the magnet face. For more information on the new BAM line and other Eriez SE 7000 Suspended Electromagnets, visit http://ow.ly/PXAYT.